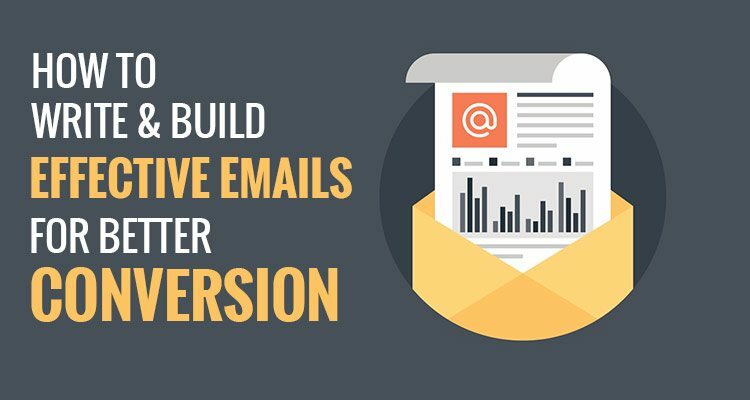 How to Write & Build Effective Emails for Better Conversion? In addition, email marketing can help you increase your ROI by as much as 4300%. It means that investing in creative email designs and building amazing marketing emails can help you get the average ROI of $40 for every $1 that you’re spending. With these stats in hand, it isn’t too difficult to understand why emails remain the best choice of smart marketers looking to quickly drive conversions. 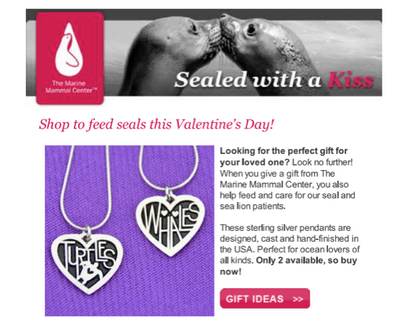 A popular hospital that cures injured seals, Marine Mammal Center was able to double its purchases by sending out product focused emails to its recipients. Emails can help you increase your conversions manifold. More than 50% marketers fail to optimize their emails and use emails to their advantage. Because a large fraction of marketers are clueless about how to write and build up a perfect email that resonates well with their target audiences. Check out these 5 insanely actionable tips to help you build emails that will make you conversion superstar. Okay! We’re sure everyone and their moms know how important subject lines of an email are. 35% email recipients open email based on the subject line alone. This means the subject line of your emails decide if your emails will be read or not. And that’s why it’s important to write ‘killer’ subject lines. Ensure that your email’s subject line adds to the overall curiosity of the recipient. Use shorter subject lines. Ensure that subject lines are relevant and say exactly what your email is all about. Okay, you’ve already written a ‘Killer’ subject line and are getting started with your email body. No matter how great your email subject line is, it will just motivate your recipients open the email, but to make them read further, you’ll need to ensure an even greater email body. You’ll need to ensure that your email body resonates well with your audiences so that when they look at the email content, it’s their voice, their taste and their needs, they see. Make your email body an extension of your subject line. Make sure you’re the spellings, grammar and the overall flow of your email is well written. If English isn’t your first language, seek help from freely available tools like Cambridge University Press. Okay! You’ve created an amazing subject line and built up email body. But what do you think will make your recipients complete the process of conversions? You’ll need to personalize your emails to motivate your recipients to take the desired action. Personalized emails increase conversion rates by an average of 10%. In addition, personalization of emails can get you 6x higher transaction rates. So, simply personalize your emails and see your conversions skyrocketing. Adding a call to action button in your emails can improve conversions by as much as 28%. This means that you must do well to add call to action buttons to your email. In fact, it pays to strategically place multiple call to action within your emails. The answer is simple! It gives your recipients ease and flexibility to click on your call to action buttons any time they wish to while reading or scrolling through your email content. To make sure that your email doesn’t look cluttered and messy, you must do well to use both linked texts and image buttons. 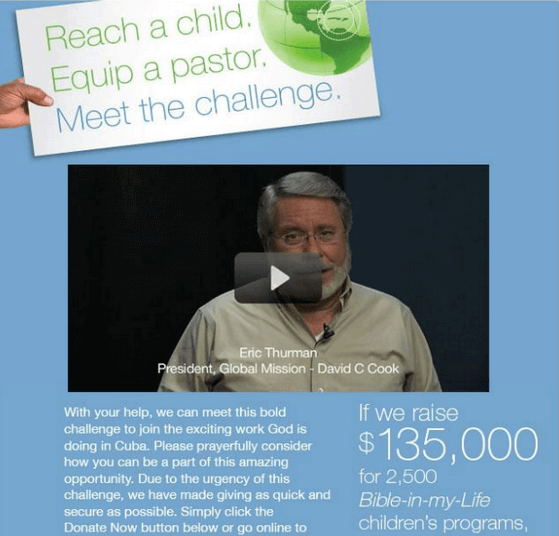 David C. Cook, a popular non-profit organization, was able to increase its conversions by 114% by using a video in email. Yeah! That’s the impact of adding videos to emails. Adding video to your email can help you increase the click-rates by as much as 300%. These stats clearly reveal that adding videos to your emails can help you increase your conversions double fold or even triple fold. But when you use videos in your emails, make sure that your videos are targeted and personalized to your recipients. In addition, do well to videos that are relevant to your emails and appeal to the emotions of your recipients. Now, go ahead put these 5 easy tips into practice and get set to increase your conversions manifold. Is there any other tip that you think should a part of this list? If so, then leave us a quick comment and let us know. Don’t forget to sign up for the free Designhill Newsletter and get more such exclusive techniques and tips sent straight into your inbox.